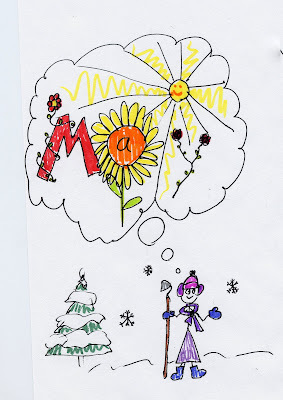 Keep drawing... Only five months till spring! Wow, I'm flattered! It's pretty good, too, except I almost always where green. But I did wear a purple sweater the other day. Thanks for the great drawing! I've met Carol and you've captured her perfectly. Lovely picture. Very cheerful. Thanks for sharing!